Black leather-like cover with burgundy spine and corners. 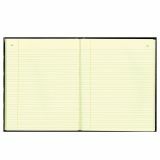 Archival-safe, acid-free Eye-Ease® green paper. Note: A minimum quantity of 30 must be ordered, and in units of 3 thereafter. 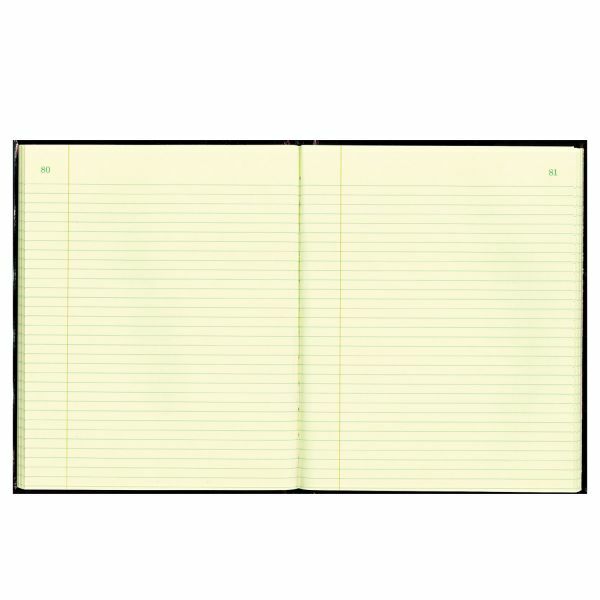 National Texthide Record Book, Black/Burgundy, 150 Green Pages, 10 3/8 x 8 3/8 - Record book contains eye-ease heavyweight ledger paper, printed in brown and green ink. Each archival-safe, acid-free sheet is numbered and faintly ruled with margin lines. 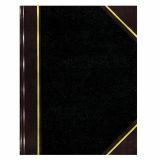 Design includes a black Texhide cover, burgundy spine and corners, perfect binding and sewn construction for strength and durability. 10 3/8" x 8 3/8"